Thank you for visiting my page! 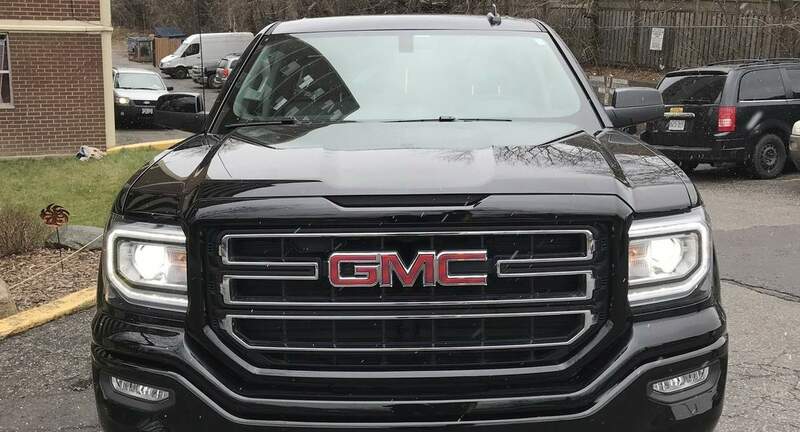 ======== Car Details ======== - GMC SIERRA 1500 ELEVATION - Automatic - AWD (all wheel drive) - Great trunk space - fits 5 passengers ======== Booking the car ======== - When you book: please confirm the following three things to speed up the booking process (I&apos;m usually extremely fast to respond): 1) You have a G license 2) You are above 21 ======== Pickup / Dropoff ======== - Right in the heart of North York, Toronto - Minutes from Pearson airport, Yorkdale shopping centre, major 401 highway. ======== Requirements ======== - G license (or that equivalent from other cities/countries) - Older than 21 ======== Other things ======== - Please feel free to message me via the app if you have any questions, and if you&apos;re visiting Toronto happy to recommend places to you too! - If this is your first rental on Turo use this link: https://turo.com/c/kevinr2002(and both of us will get $25 credit!) - I enjoy making sure that all my renters have a wonderful experience, from the second they book to the second they drop the car back If you have any questions please sms/call me at 647-674-7617. Thank you! Kevin. Kevin was great to rent from. He responded right away and could not have made the experience more convenient with a drop off and pick up. His car is one of the best I’ve rented from Turo and was in perfect condition, and so clean. I will definitely rent from Kevin again. Great host! Great truck! Definitely renting from him again! A++ Kevin the truck was amazing and great on Gas! Thank You.